There is a vast Christian audience that longs for clear explanations in their case for God that gives them reason, confidence, and the language to effectively communicate their belief. Hardwired is that book, that confidence, that accessible wisdom and that language Christian apologetics remains a popular and widely-read genre, with works like The Case for Christ selling millions of copies and Reasonable Faith making inroads into academic discussion. However, those works often rely on scholars to give them a confusing new language for their own faith. Hardwired is altogether different. Miller begins with the language of our own lives: seekers / questioners / Nones and Somes who need only to examine their lives, their human existence, to find God. Like a baseball player who has delved into physics while simply trying to get on base, humanity has inferred God s existence from daily life. Building on the biblical principle that God s existence is plain in what He has made, Hardwired makes the case for our natural lives giving us a language for God s existence. 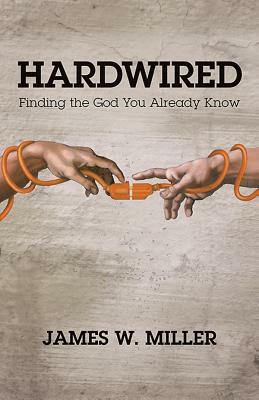 Filled with humor, metaphor, and whimsy, Hardwired will empower the layperson to find God without a Ph.D. It s readable and fun, even as it rests on a credible, scholarly foundation. Author Name: Miller, James W.